1)when babies stool looks tougher, hard, dry and doesn't look normal(You know what i mean). 2)They feel the pain while passing stool and has trouble while passing poo. 3)When they belly looks hard, tough and swollen up. 4)When they dont eat properly. 5)Their poo smells really bad. 6)Constant crying when you press their belly and find it trouble sleeping. This is how you know that your baby is in constipation. What is the cause for Constipation? 1)Formula milk & Cow's milk can cause constipation, since breast milk are easy to digest. 3)When your baby is not drinking enough water or milk. It may cause dehydration. 4)Food allergies, Food Poison or Other medical conditions. Gentle massage your babies tummy with warm coconut oil in a round manner for few mins. This will relax your baby and soothes her. A warm water bath after massaging will help your baby relieve from constipation. Take 5 to 8 Black Raisans and wash them well. Now take that in a sauce pan and add 1/2 cup of water. Bring that to a good boil, simmer the flame and let it cool till it is reduced to thrice in volume. Now allow this to cool a little. When it is cold to handle, Press the raisans and squeeze the pulp with your clean washed fingers. Now strain this liquid through a fine strainer. You cna give this to your baby early in the morning. Continue this everyday untill your baby passes poo. You can keep on doing this once in every two days. This will help your babies constipation. Keep on giving warm water every hour to your baby. This helps a lot. If you are giving store bought cereal to your babies. Then reduce that and include Homemade Fruit Purees, Homemade Vegetable Purees, Homemade Porridges to your baby. 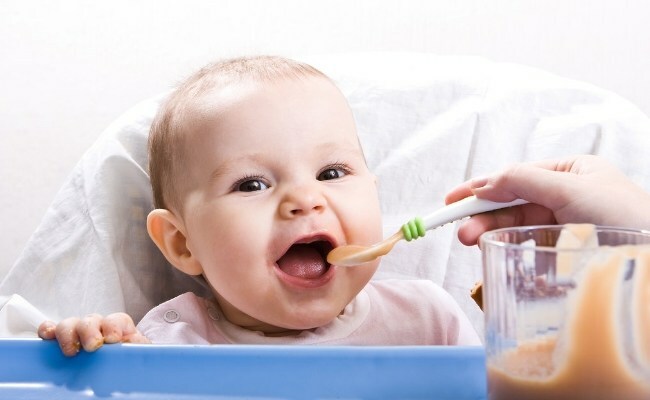 1)Feeding your baby with 1/4 cup of Prune Juice Mixed with 3/4 cup of water with relieve your baby from constipation. 1) Take Dried Fig and wash them well. Now take that in a sauce pan and add 1/2 cup of water. Bring that to a good boil, simmer the flame and let it cool till it is reduced to thrice in volume. Now allow this to cool a little. When it is cold to handle, Press the fig and squeeze the pulp with your clean washed fingers. Now strain this liquid through a fine strainer. You can give this to your baby early in the morning. 2)Heat betel leaves in deepam slightly and place it on the baby's tummy, obviously check for the temperature of the betal leaf first. It is supposed to melt the motion inside and baby will pass stool immediately. 3)Use cycling motion on babies gently this will help them go poop. If your baby is not relieved after these home treatment, Consult with your pediatrician, he will give medicines for it. After all, don't get into too much worries. Constipation is common in all babies, and your babies will get into normal routine soon. 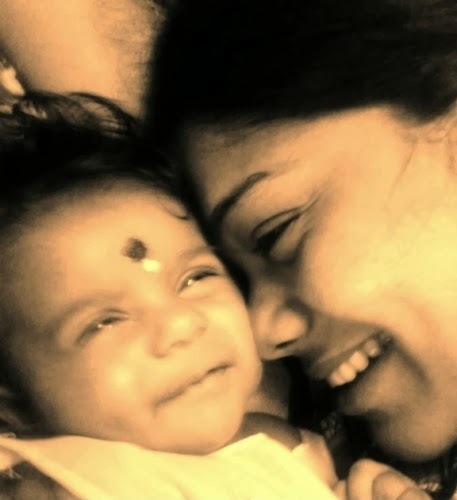 Pictureless post is not interesting..I am leaving you with a picture of me and maha..
Hi aarthi my daughter s 10 months old maanvee. her pediatric advised me to give dry fig juice as we do with raisins .it really worked out well .she passes her tools immediately after drinking hope this helps u. Nice information!!! I'm fed up. First got them in 2003, very painful. In Nov 2014 they flared up again and never really went away since. I've been using Metamucil for fiber and anisole suppositories for a while, and although I'm not constipated I still get blood and pain when I use the washroom. It's so frustrating. I've also used prep H ointment, prep H suppositories, than tried garlic home remedies for constipation. And yeah it works for me. Great article! If I may, there is one more treatment that works very well for me - a prune juice and high fiber food - veggies and fruit. Maha can Turn Over Now!